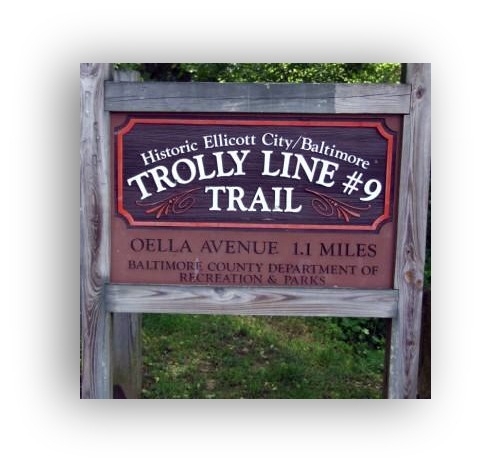 One of my favorite destinations in the Ellicott City / Catonsville area for an enjoyable walk surrounded by nature is the Trolley Trail #9 in Oella, MD. (Although there seems to be a mystery about whether it is a “Trolly” or “Trolley” trail). upwards from the Baltimore County side of the Patapsco river in Ellicott City to Catonsville, was built in the 1890’s & operated until 1955 when bus service became available. The massive walls of granite were hand-cut to make the trail fit for electric streetcar rails of the passenger trolley. 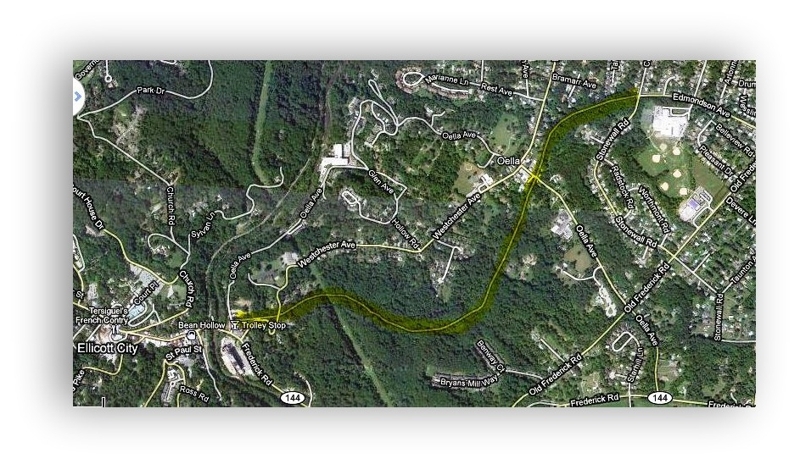 The right-of-way sat dormant until the 1990s when a rails-to-trails project converted the portion between Ellicott City and Edmondson Road in Catonsville into a pleasant walkway. The distance from bottom to top and back again is roughly 3 miles. The first part of the trail is across a wooden boardwalk and then pavement continues the rest of the way through Banneker State Park and along side a running stream. It’s incredibly peaceful and very family and dog friendly. Personally I enjoy walking early in the morning when the sun is still low in the sky and peeking through the trees. It’s a great way to get some exercise.